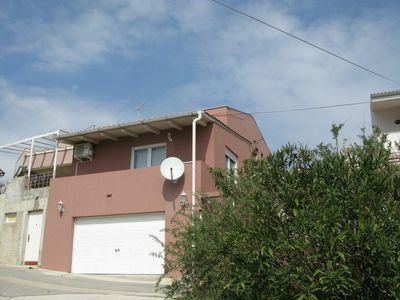 The accommodation Nada1G - ground floor apartment for couple or small family is located in the center of Kožino. 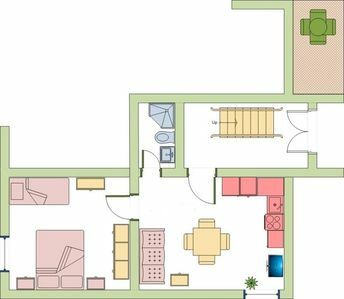 Nada1G - ground floor apartment for couple or small family has a capacity to host up to 4 people, divided among 1 bedrooms, with 3 bed/s in total of which: 1 Double bed, 1 Single bed, 1 Single sofa. You will have a/an Kitchen equipped with everything you need to make your stay more comfortable: Kettle, Sandwich toaster, Blender, Microwave, Fridge, Toaster, Cookware, Juicer. 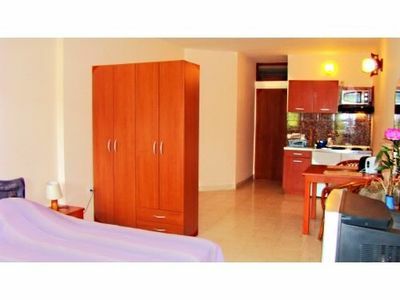 At Nada1G - ground floor apartment for couple or small family you will find: Vacuum cleaner, Washing machine, Iron, Hair dryer. How about a barbeque in Kožino? You can prepare them here, just like at home. Complete your ideal stay and forget boredom. At Nada1G - ground floor apartment for couple or small family you'll have access to: Community Garden. Keep in mind that Nada1G - ground floor apartment for couple or small family does not accept pets. Discover Kožino and feel like a local. 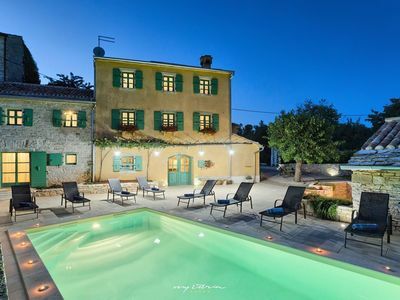 Kožino is a village located 6 km north of Zadar, between Diklo and Petrcane, offering a large number of modern, fully equipped villas and apartments. It is well connected with the surrounding area. The local population in Kožino engages in agriculture, mostly cultivating vines and olive trees. It is an ideal destination for those who want to spend a quiet family holiday. Here you will find beautiful pebble and sand beaches with clear waters and surrounded by Mediterranean vegetation. 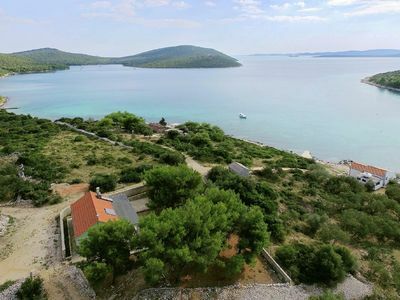 Sports enthusiasts can try their hand at tennis, table tennis, beach volleyball, football, handball, basketball, water skiing, surfing, sailing, rafting on river Zrmanja and hiking on the Velebit mountain. 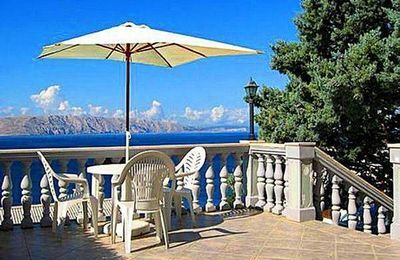 Enjoy the delicacies of the Dalmatian region in the restaurants "Kožino", "Tony", "Franko", "Stari Mrače" and "Kristina". 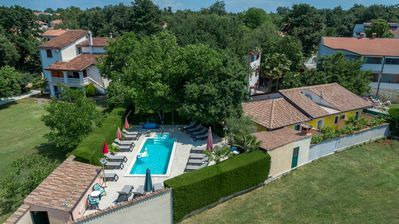 Villa Vedran with stunning views for relaxing holidays.